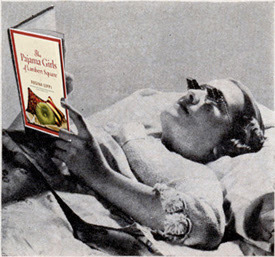 My caption is: As a tanning device, the book was pretty ineffective....but it was a darned good read! Why is Rosina having this contest you ask? 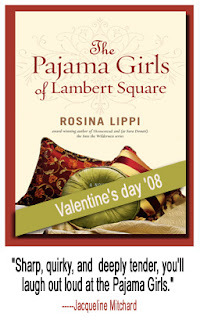 Well, because her new book, The Pajama Girls of Lambert Square comes out on February 14. For more details about this contest, and to see more of the build up to release date, visit Rosina's weblog. Note: This book is once again going to be released in Australia under the name Sara Donati!